Peter has a lifetime interest in Natural History. As a schoolboy in Nottinghamshire he became interested in wildlife through his father who encouraged him to draw and paint the local birds. On moving to Leicestershire he joined the Loughborough Naturalist Club and was able to learn more about wildlife and local issues through like-minded people. He soon became Chairman and still is an active member. 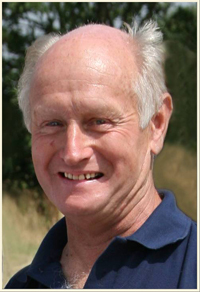 Peter also does a lot of work for the Leicestershire and Rutland Wildlife Trust and is the past Vice-Chairman. Photography was his next step and in 1986 gained his Associateship of the Royal Photographic Society, in April 2007 Peter was award the distinction of DPAGB. In December 2015 he was awarded LSINWP. Peter is the past Chairman of The Royal Photographic Society Nature Group and past President of the Leicester & Leicestershire PS, and now a member of Eastwood PS and Claycross PS, at present chairman of Claycross PS and now lives in Nottinghamshire. His varied natural history lectures can be regularly enjoyed on the midlands circuits. He also judges photographic competitions up and down the country and is a Local Radio and TV personality. Peter helped to produce a film on Finland for Central Television and a film with Chris Packham on bird watching. Some of his work has been published in books and magazines and he also writes articles for various papers and magazines. Peter has visited many countries as a naturalist and wildlife photographer including much of Finland, Corfu, Seychelles, Florida, United Emirates, USA, Canada, Belize, Peru, Arctic, Antarctic, Falklands, South Georgia, India, Yellowstone Romania and Hungary. However, it is the wildlife of Africa that keeps drawing him back, having lead several trips to Zambia, Namibia, Zimbabwe, Kenya, Uganda, Rwanda, Tanzania and Botswana. He is an excellent organiser and communicator with a delightful sense of humour, which makes him a popular tour leader. Peter Jones is the founder and MD of Wildwatch Tours Ltd.